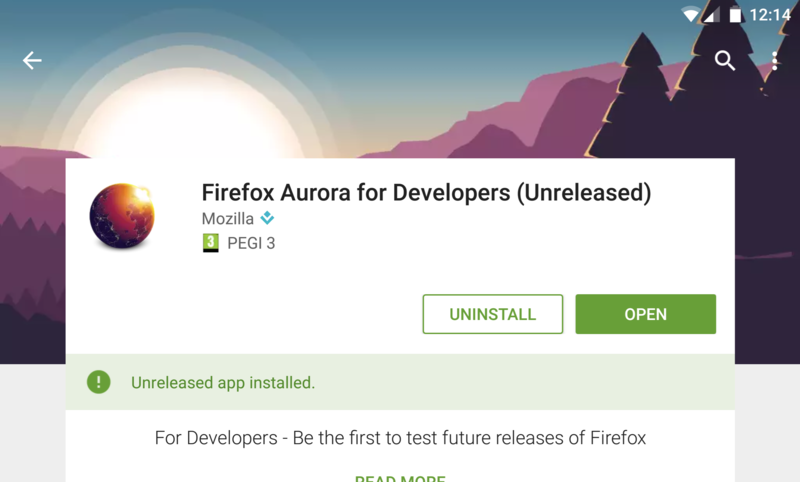 According to a post on Mozilla's Hacks blog, the Aurora channel will stop updating on April 18, and over the course of the next several months will be removed from the release cycle altogether. Nightly will remain on Firefox 55 for two release cycles, and on June 13, Firefox 55 will migrate directly from Nightly to Beta. The primary reason for this change, according to Mozilla, is a lack of users on the Aurora channel. The company is also hoping to decrease development time on each Firefox update by 6-8 weeks by removing the extra channel. The Aurora channel on the Play Store will be switched to Nightly at some point in the future. Nightly builds for Android have been available at Mozilla's website for a while now.